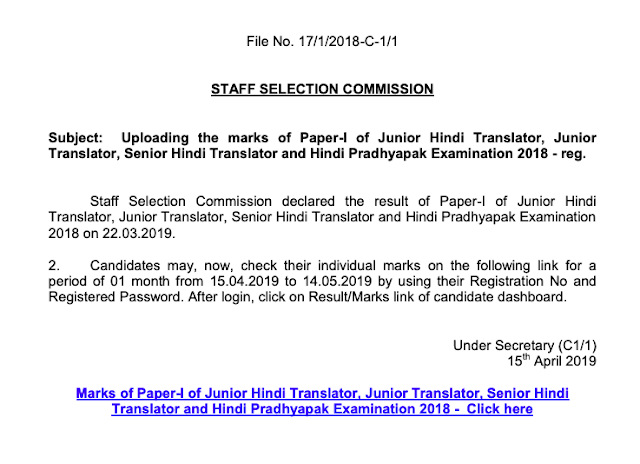 Staff Selection Commission declared the result of Paper-I of Junior Hindi Translator, Junior Translator, Senior Hindi Translator and Hindi Pradhyapak Examination 2018 on 22.03.2019. 2. 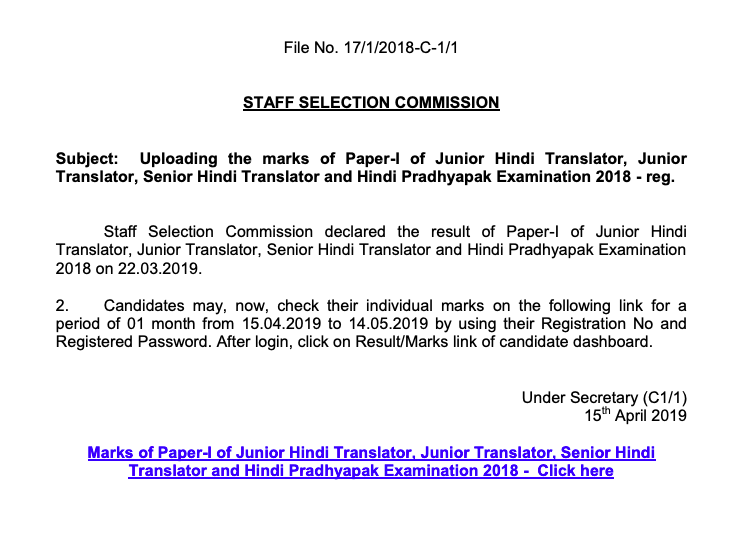 Candidates may, now, check their individual marks on the following link for a period of 01 month from 15.04.2019 to 14.05.2019 by using their Registration No and Registered Password. After login, click on Result/Marks link of candidate dashboard.